We are a very large and ambitious set of barristers, keen to attract new members who will enable us to continue to grow and excel. With 120 members, Park Square Barristers is one of the largest sets on the North Eastern Circuit. We are always looking to become even stronger, and would like to hear from practitioners with proven expertise or obvious potential. The regular recruitment of talented barristers has helped us to stay ahead of the competition. As a result, we only accept those who will truly add to our strength. If this is you, you could share in the success of those already here. We are a modern, progressive and commercially astute set, with no old-fashioned values or hierarchy. We have strong representation among women and ethnic minorities, and our members come from many different backgrounds – often with prior careers. Everyone has an equal say in chambers’ business, and all share in its success (we operate as a limited company with all members as equal shareholders). 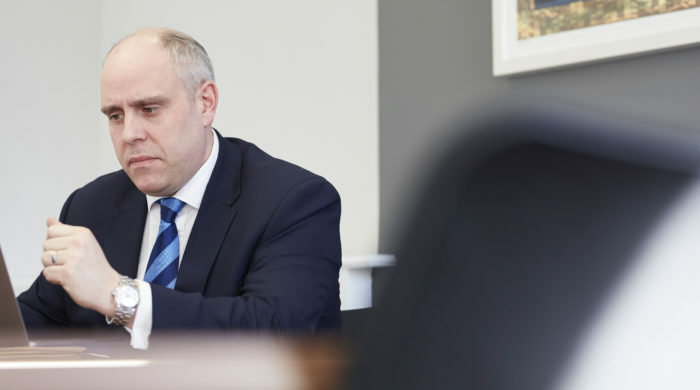 We are keen to be clear and helpful to everyone, internally and externally, and solicitor clients are welcome to contact members directly by phone/email to ask for guidance. We offer excellent facilities and services for conferences and training. Many barristers apply to us from other sets within or beyond our circuit, and others apply from other areas of legal practice. It is a sign of the level of talent we attract, and the professional development opportunities we offer, that 40 former members have been appointed to the judiciary. Every application is judged on merit alone; the process is transparent and no single individual can determine the outcome of an application. And whether your application is successful or not, it will be dealt with fairly, quickly, in the strictest of confidence, and in full accordance with our written procedures. The final decision is then made by our board of directors. Intellectual capacity and ability – A good record of intellectual achievement plus proven expertise in your chosen area of practice. Personal qualities – Including integrity and sound judgment. Interpersonal skills – A proven ability to work well as a team (working co-operatively and supporting others) and to treat others with courtesy and respect. Success in practice – A successful and established practice or the clear potential to achieve one. If you’re ready to make a formal application, please email Michael Collins, head of recruitment. If, for any reason, you’re not quite ready to make a formal application but would like to discuss doing so, again please contact him by email.